Even a little thing like death can’t keep Michelle Yeoh’s Philippa Georgiou from making a comeback. Yeoh was already slated to reprise her role as Georgiou’s Mirror counterpart in Star Trek Discovery season 2. But now, she may end up with a Star Trek series of her own. Deadline is reporting that a Yeoh-led spinoff is in the early stages of development. It would likely follow Georgiou as she works alongside Section 31, the secretive organization that bends the Federation’s rules and morals in a bid to keep it safe and secure. Essentially, Section 31 is a renegade black ops group that operates on an intergalactic scale. It was first introduced in Star Trek: Deep Space Nine. Yeoh played a supporting role in the first season of Discovery. Philippa Georgiou was Michael Burnham’s mentor and surrogate mother when they served together on the Shenzhou. Georgiou lost her life at the hands of a Klingon, which led to war. However, Georgiou’s counterpart in the Mirror Universe was still alive, and she had become the Emperor of the Terran Empire. When Emperor Georgiou was in danger of losing her throne and her life, Burnham brought her back to the prime universe. The ramifications of that decision will continue to play out in Star Trek Discovery season 2. CBS All Access has recently ramped up production of several Star Trek series. One of the most anticipated shows will feature Patrick Stewart reprising his role as Jean-Luc Picard, from Star Trek: The Next Generation. Rick and Morty‘s Mike McMahan is also developing an animated comedy series, called Star Trek: Lower Decks. 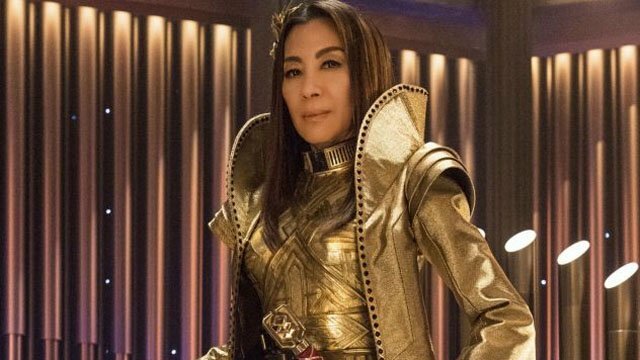 Are you excited about potentially seeing Michelle Yeoh get her own Star Trek show? Which Trek characters deserve their own spinoffs? Share your thoughts in the comment section below! The post Michelle Yeoh May Headline Her Own Star Trek Series appeared first on ComingSoon.net.